Roku’s HD version of their streaming device dubbed XR has gained 1080p video streaming. With the most recent firmware update 2.9, Roku XR has gained full HD streaming capability. – Enabled 1080P support for XR units. – Hulu application optimizations for quicker trick play navigation and start of playback. – Hulu application optimization for improved playback performance on networks with higher latencies. – Fixed a bug that could result in a crash if an app tried to load an image that was too large (greater than 1280×720). – Fixed playback of poorly interleaved video streams which resulted in rebuffers around the 25 minute mark in Roku Newscaster programs. – Fixed a remaining case of playback at the incorrect aspect ratio. – Changed option menu action name from “change order” to “change position” for re-arranging channels. – Fixed a bug in channel re-ordering related to presence of screen savers. – Modified channel store “go to channel” behavior to launch the selected channel instead of only focusing the icon on the Home screen. – Added screensaver preview and set options to the channel store springboard. – Fixed a subtle audio playback issue in UFC streaming. How to Update Roku Firmware? 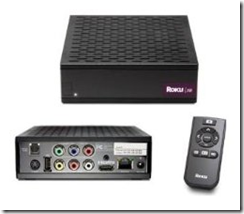 Here is how to update your Roku firmware. You can check out the current Roku prices on Amazon here – Roku SD Player – Roku HD Player – Roku HD-XR Player .